The success of any restaurant depends on the kind of services they provide. If the hospitality industry fails to offer smooth operations to the customers, it enters the negative zone. Technologies have emerged in every sector and restaurant industry is no exception. IoT in restaurants is the most recent advancement in the hospitality industry. This advancement will help generate data that can benefit not only the customers but the restaurant staff too. Let's dig in further to know how IoT solutions will help restaurant industries in the future. Due to the introduction of the Internet of Things (IoT), various restaurant industries are now able to avail services from temperature tracking software vendors. These temperature tracking devices will be able to track the temperature of the kitchen equipment. With the help of reports generated through the tracking devices, it will be easier to generate an alert report. 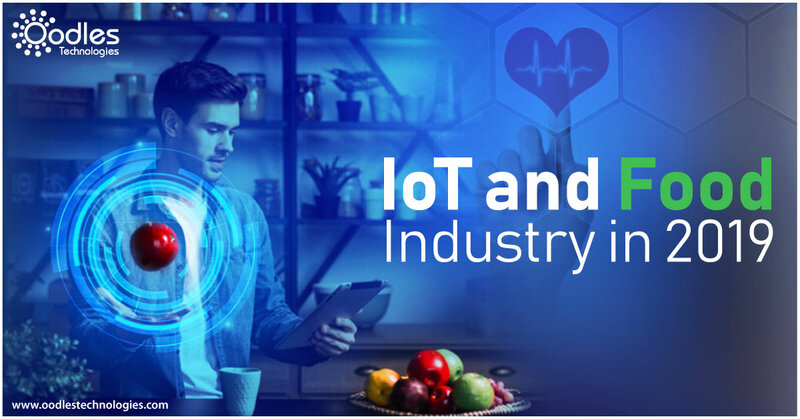 IoT solutions, when offered in the restaurant industry, will help offer a timely resolution of things and prevent the food from getting adulterated or spoiled. These IoT commercial kitchens can be tied to USDA recalls so that whenever a food fails to meet the USDA recommendations, it will immediately offer its disapproval. IoT development services will be highly beneficial for restaurant chains where customers are expected to stay safe under all circumstances. Various restaurant chains are now dependent on IoT app development companies so that they can stay ahead of their competitors in the restaurant industry. These IoT application companies develop a platform through which restaurant owners will be able to monitor oil levels across multiple pieces of kitchen cooking equipment. The technological upgrade will inform the vendors to timely deliver oil if there is a shortage. The same technology can be used for the storage of products. The right track of things will help save the restaurant from wastage and also prevents food from expiring. With the help of smartphones and app-based monitoring, it will be easier for restaurants to keep a track of almost everything. Just like a software development company keeps a track of its SaaS tools, dashboards, type of sales, number of people visiting their website, a restaurant will be able to monitor the entire kitchen ecosystem. This technology will keep a track of monitoring peak hours. Also, sensors will be mounted on this kitchen equipment so that it becomes easier to keep a track of it. With the help of IoT, it will be easier for restaurant managers or owners to monitor everything on their smartphone app. In case of a peak hour, IoT will help the manager to arrange or schedule staff timely. There are a lot of benefits hospitality sectors can avail from IoT. If you are planning to make your restaurants safer and smarter, contact Oodles Technologies now. We are one of the best IoT app development companies in the market. Contact us now in case of queries.